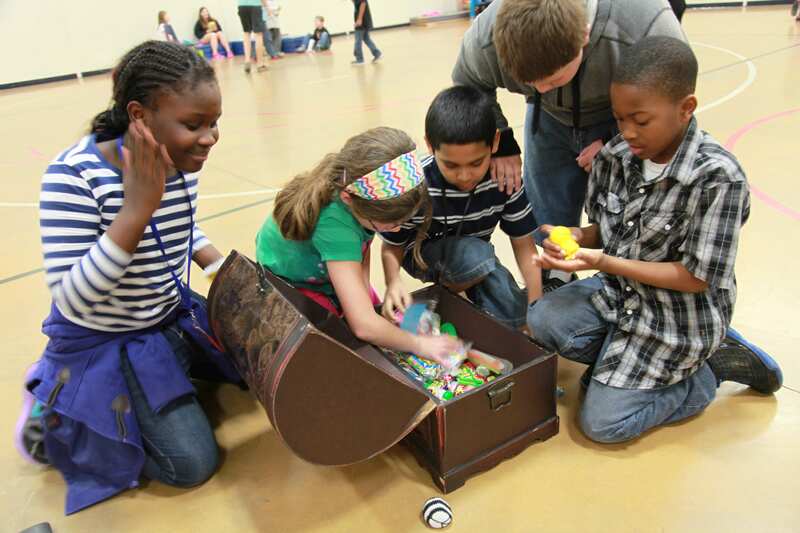 One of the many fun elements of Beach Club every week is earning those tickets for the right to head to the KBC Treasure Chest, which is filled with candy and toys. Back in the fall of 2014, Trisha was able to collect tickets for saying her memory verse and wearing her KBC t-shirt but she never got one for bringing her Bible to Beach Club. Week after week, she watched her friends bring their Bibles and get tickets, but she couldn’t because Trisha didn’t have a Bible to bring. In fact, there wasn’t even one in her house. Not one person in her house owned a Bible. This was just a few months before Great Treasure Day where every child in every Beach Club now receives their very own copy of the KBC Explorer’s Study Bible. Trisha’s Surf Team Leader requested she be the recipient of the next Bible given to a child, and she was. Excitedly she held her first Bible up to pose for a picture. Trisha started reading her new KBC Bible and brought it with her to Beach Club the rest of the year to follow along during Bible Connection time. She listened to the stories, participated in the discussion and started asking her Surf Team Leader many questions. Hebrews 4:12 says, “For the word of God is living and powerful, and sharper than any two-edged sword, piercing even to the division of soul and spirit, and of joints and marrow, and is a discerner of the thoughts and intents of the heart.” When Trisha started to read the Bible she received in Beach Club, it became powerful in her life and led her to a new hope in Christ. Her home now has the living, powerful Word of God and thanks to the generosity of our faithful monthly supporters of Bibles for Beach Club, many other homes now have their very first copy of God’s Word. You are making a difference for the Kingdom!